David Dodwell, who earlier this year was named Hotelier of the Year by the Caribbean Hotel & Tourism Association, took top honours for both of his resorts at the recent star-studded Condé Nast Traveler Reader’s Choice Awards ceremony in New York City. 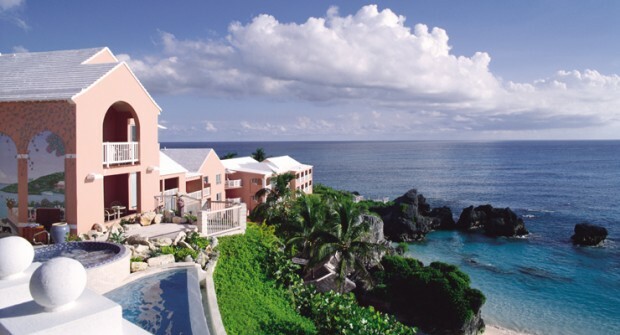 The Reefs in Bermuda was recognized as the #1 resort in the Atlantic for the third consecutive year. And for the first time, Nisbet Plantation Beach Club on Nevis was named the #1 resort in the Caribbean [the resort had held the #3 spot for the past two years]. This is the second #1 award for Nisbet Plantation Beach Club this year. In July, Nisbet Plantation was named the top resort in the Caribbean for the second year in a row by the readers of Travel + Leisure. The Reefs and Nisbet Plantation earned scores of 94.9 and 96.1, respectively, which placed both resorts among the Top 100 resorts and hotels in the world. This is the 15th consecutive year that The Reefs has been recognized among the world’s top resorts in the prestigious Condé Nast Traveler Reader’s Choice Awards and the 6th time Nisbet Plantation has made the list. “This is an incredible honour for the dedicated staff members and management team who deliver an exceptional vacation experience to the guests of The Reefs and Nisbet Plantation each and every day,” says David Dodwell, President of The Reefs in Bermuda and owner of Nisbet Plantation Beach Club on Nevis. The 2011 Condé Nast Traveler Reader’s Choice Awards will be featured in the November issue of the magazine available on newsstands October 18 and are also available online here. The 24th annual Condé Nast Traveler Reader’s Choice Awards are based upon the results of the Reader’s Choice survey, which ranks the best cities, islands, cruise lines, airlines, hotels, and resorts worldwide. A record 28,876 readers voted in this year’s survey. Resorts are rated based on Food/Dining, Location, Overall Design, Rooms, and Service. Mr. David Dodwell was in New York City to receive the awards for both Nisbet Plantation Beach Club and The Reefs. Congratulations to David and his team. Gee, you think he might make a goos tourism Minister? Nah, not in Bermuda. We need a former waitress as Minister here. Dodwell might be good a Health Minister though. I wonder how he paid Conde Nast for the awards. After all, the Department of Tourism paid for their award. I proudly work at the Reefs and this is a readers poll. Thanks to all our guests for voting and the staff for taking great care of them. We take pride in Bermuda. What an insulting comment from Ms Furbert, who supposedly represents the workers of Bermuda. Congratulations to all at The Reefs who are work hard and contribute more to the future of Bermuda than the mean spirited remarks from not only a Bermudian, but a Senator.